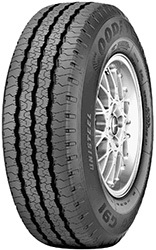 A Toyota approved original eqipment tyre, the Yokohama G91AV encompasses a unique twin groove tread pattern, designed to help disperse, water, mud and anything els eas quick as possible and maintain grip. With a strong shoulder and excellent perfomance in both internal and external tyre tests, the Yokohama G91A is a great 4x4 tyre designed to last. Longer tyre life and greater handling without sacrificing the comfort as is usually expected with 4x4 tyres are both unique to the G91AV.